azsurvivors.com Arizona advertising and media veterans history site-Next reunion.. Longtime Valley resident and former Phoenix advertising executive Mac Jett died January 29, 2018 in Hampstead, N.H. after an incredibly valiant 18 year battle with prostate cancer. He was 76. Born Melvin McRae Jett, Jr. in Atlanta, Georgia, Aug. 15, 1941, Mac was the son of Melvin McRae and Georgia Jett. He graduated from Lakeland (Florida) High School and Arizona State University. 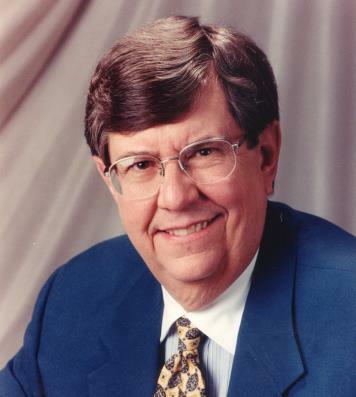 He was appointed Assistant Advertising Manager of First National Bank of Arizona in 1965 and within 5 years rose to become Advertising Manager, the youngest at a major Arizona financial institution. In 1972 he left banking and opened up his own advertising agency in Phoenix, M.M. Jett & Associates. The following year he merged with Ray Lindstrom, creating Lindstrom & Jett Advertising that was a prominent retail agency into the 1980’s. Later he was president and founder of National Consumer Events and National Book Liquidators. In the 1990’s and until retirement in 2007, Mac joined with his former partner Ray Lindstrom to own and operate The Watch Man, Inc., retail watch and jewelry store chain in Laughlin and Las Vegas, NV. Mac was a man of faith and integrity. He was kind to everyone and respected in his community. He was active in his church and always willing to go out of his way to help others. He was married to the love of his life, Sarah, for over 53 years. They married on Valentines Day 1964, appropriate for the bonds of love that would keep them together in a storybook romance forever. In addition to his wife Sarah, he is survived by son Chip (Karina) Jett of Las Vegas and Susan Jett (Sam Butler) of Atkinson, N.H. Also surviving is a brother George Jett of Scottsdale, AZ and 4 grandchildren. A special memorial service as a celebration of Mac’s life will be announced at a future date.